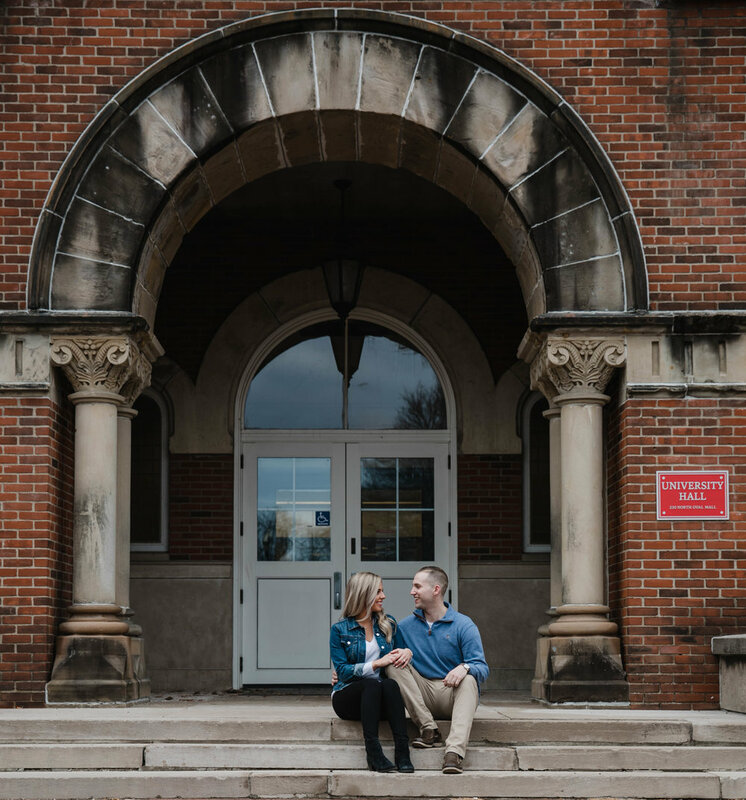 Mackenzie & Brian - Engagement Session at THE Ohio State University! I seriously love my job. I get to meet rad couples like Mackenzie and Brian and then photograph them ON THE FIELD at Ohio Stadium. Check that off my bucket list! Mackenzie actually works with my husband, and I met her right after she became engaged at their work Christmas party. To say I was excited when she asked me to be their photographer was an understatement! Their wedding will take place in May 2018, and I cannot wait! Until May, enjoy a little preview of their engagement session!